The acquisition will give Talon 100% interests in two “high-quality” exploration opportunities, as well as the services of two experienced North Sea explorers. Talon’s first North Sea acquisition came in October, when it purchased a 10% stake in the Curlew-A discovery from Corallian Energy. Curlew-A is thought to contain 45 million barrels of oil equivalent (boe). An appraisal well is slated for the third quarter of 2019. EnCounter Oil, based in Hertfordshire, was set up by former members of EnCore Oil, which was involved in discovering the Breagh and Catcher fields. Premier Oil bought EnCore in 2011 for £221 million. 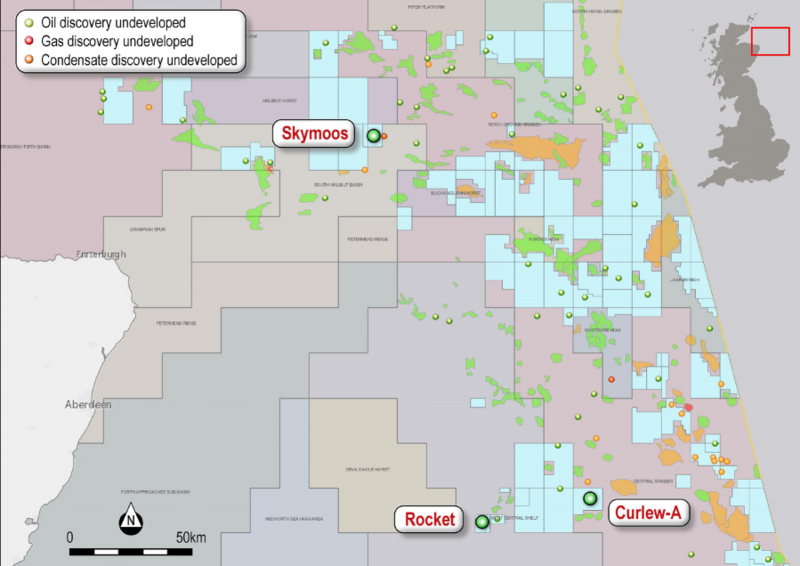 EnCounter’s portfolio includes the wholly-owned Skymoos prospect, which could hold more than 100m boe and is located in the outer Moray Firth near Equinor’s Verbier discovery. It also owns the 27m barrel Rocket prospect, which lies in the Central Graben Area, near Catcher. Talon is ready to look for farm-out partners to help it develop both prospects. EnCounter directors Graham Dore and Paul Young will join the team at Talon, which is headquartered in Newcastle, New South Wales. Mr Dore will become a non-executive director once the deal goes through. In a complex transaction, Talon has agreed to buy 100% of EnCounter’s issued share capital in exchange for 100m Talon shares. A further 300m Talon shares will be transferred if certain milestones are met in relation to the farming out and drilling of Skymoos and Rocket. EnCounter shareholders could end up with 19% of the capital of Talon. Talon managing director Matthew Worner said: “The transaction with EnCounter Oil is a significant step forward in our UK North Sea strategy. We are extremely pleased to be executing this deal with EnCounter Oil, with the company acquiring both the highly-prospective Skymoos and Rocket prospects. “We are also pleased to welcome both Graham Doré and Paul Young, two highly experienced oil and gas executives, who bring outstanding UK North Sea experience, and will play a pivotal role in Talon delivering long-term shareholder value from its growing North Sea portfolio.